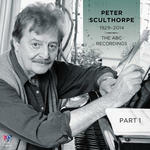 The song of Tailitnama : for voice, six cellos and percussion / Peter Sculthorpe. 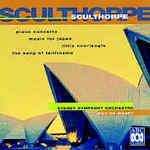 Sculthorpe / Sydney Symphony Orchestra, Edo de Waart. Instrumentation: Soprano, 6 cellos, percussion (2 players). First performance: by John Hopkins, Halina Nieckarz — 6 May 74. Text from Central Australian Aboriginal rock wallaby song. Text from the Northern Aranda poem: The song of Tailitnama, translated by T.G.H. Strehlow. Written for the ABC television documentary Sun Music for Film, directed by Stafford Garner. 17 May 2012: at Bachianas Brasileiras (Gallery of Australian Design). 6 May 74: featuring John Hopkins, Halina Nieckarz. The Song of Tailitnama (original version for soprano, 8 cellos, 2 percussion; arrangements available for mezzo-soprano with piano accompaniment – arranged by the composer, or classical guitar – arranged by Ken Murray; 8.5 mins) The distinctive material explored for the first time in this work went on to become important in a number of Sculthorpe’s compositions, so it is highly recommended that advanced students get inside this major work by this major Australian composer. Alternating slow, wordless, dramatic sections, with driving, rhythmic sections setting an Aboriginal text, this work is a substantial addition to a vocal program. The main challenge for the singer lies in switching between the contrasting vocal range and vocal demands of the alternating sections (high and sustained in the slow sections, low and punchy in the fast sections). The singer needs to work closely with the guitarist or pianist to achieve the tight ensemble, rhythmic accuracy, stamina, and total security with the form of this extended piece, that are required for a successful performance. A strong, dramatic vocal quality is needed for this work.